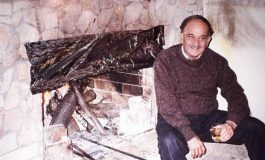 The Hellenic Film Society USA is pleased to present a screening of Smuggling Hendrix, a biting comedy, written and directed by Greek Cypriot Marios Piperides, in his feature film debut. The award-winning film was named Best International Narrative Feature (Cyprus) at the 2018 Tribeca Film Festival. The screening will be held at the Museum of the Moving Image in Astoria, NY, on Sunday, November 11 at 3pm. In the film, a dog named Jimi Hendrix accidentally crosses the Greek-Turkish border of the divided Cyprus capital of Nicosia. It delightfully chronicles the efforts of his owner, Yannis, a down-on-his luck musician, to smuggle him back to the Greek side, despite European laws that prohibit Jimi’s return. Yannis, who is about to leave Cyprus for a better life abroad, assembles an unlikely company of conspirators, including a Turkish settler, to help him overcome the bureaucratic obstacles preventing him from reuniting with his best friend. The film is based on a true story. Smuggling Hendrix is part of the Museum of the Moving Image’s Always on Sunday film series, featuring monthly Sunday afternoon screenings of Greek films. The museum is located in Astoria at 36-01 35th Avenue, conveniently located near public transportation. 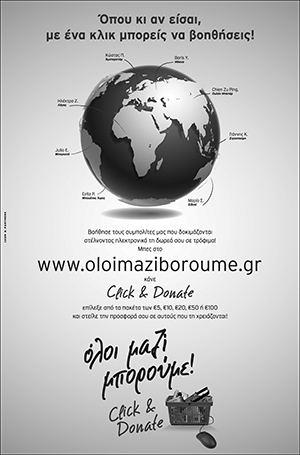 To purchase tickets, please visit www.hellenicfilmusa.org. Use discount code SUNDAY20. 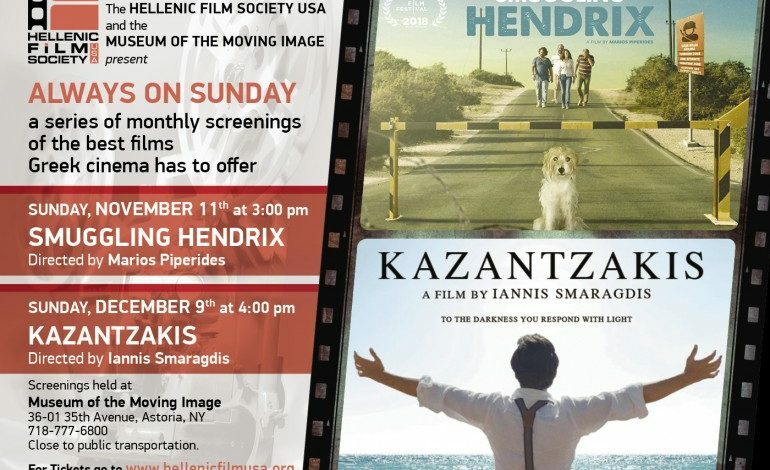 For additional information, please visit www.hellenicfilmusa.org or call 718-531-5074.